Ahead of a meeting of over 40 countries in New Delhi, the World Trade Organisation (WTO) on Monday warned of escalation of trade tensions following recent US decision to increase tariffs and urged members to work together to “step back from the brink”. While WTO members are expected to renew their backing for a rule-based global trading system amid rising concerns over protectionism, following recent US action to raise import duty on aluminium and steel and also initiate more measures, there are indications that the issue will dominate the meeting. The tone was set on Monday by WTO director general Roberto Azevedo, who expressed concern over the growing threat and warned that the revival in export orders could be hit by protectionist moves. As informal parleys began, the government officials suggested that India would pitch for a framework to address its concerns over food security, a demand that has repeatedly been ignored with the US even refusing to engage in any dialogue on the issue. In fact, the Trump administration has taken the debate to a different level and suggested that countries such as India and China should not get the same treatment as poorer developing countries. While India, China and the European Union are among 17 countries that formally protested against the duty action, the issue may be raised at the informal WTO meeting on Tuesday as well, officials indicated. 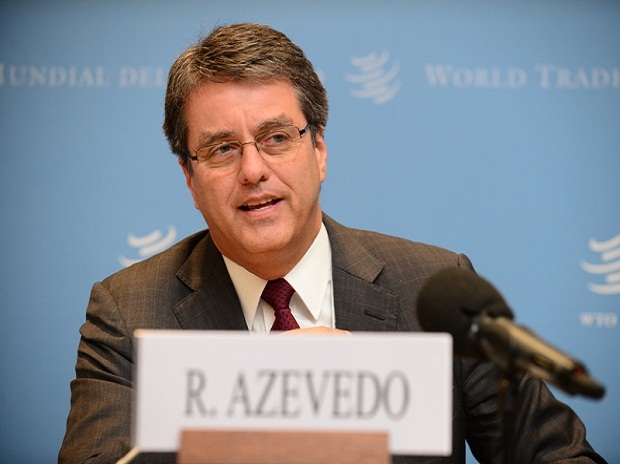 At an event organised by an industry lobby group, Azevedo sought a flexible approach from the WTO membership and pointed “to rising risks to this positive outlook with recent incidents of increased protectionist moves by members”. He cited the recent tariff increases by the US for steel and aluminium among other protectionist measures by other countries. The WTO chief also acknowledged the challenges faced by the 23-year-old global trade body. “We are facing many challenges in the WTO and outside. Trade environment globally is very risky at this point of time. We will try to have an open and honest conversation at the informal WTO meeting here... We have very significant challenges before us. We have the dispute settlement system compromised by a blockage in the appointment of appellate members and this will be the focus of conversations in New Delhi,” Azevedo said. While the informal ministerial meeting has been organised by the government to break the impasse in global trade talks, a breakthrough is unlikely given that the three trade giants - the US, the European Union and China - are not represented by their trade chiefs and have instead sent the second in command, indicating the importance that they attach. In his speech, Azevedo urged members to engage in conversations on issues even if they did not negotiate on issues that they are uncomfortable with.